Here at Moton Motorcycles you will find a wide range of motor bike and scooter services designed with you in mind. Moton Motorcycles has been in business for over 20 years providing high quality goods and services to the motorcyclist both for pleasure and business. To read more about Moton Motorcycles visit the About Us page. Please browse around the website, if you have any questions or queries or you would like to book a service, an MOT or just get your bike repaired do not hesitate to call using the details on the Contact Us page. We service and repair all bikes and scooters from 50cc right through to the super-bikes. We have a passion for Ducati, and can handle, service, tune and repair all makes ranging from Aprilia, BSA, Ducati, Gilera, Harley’s, Honda, Kawasaki, Suzuki, Yamaha and most of the various Chinese and far east bikes. We can see your bike through all necessary servicing and MOTs and provide you with complete peace of mind. Call now to book your MOT and stay road legal. 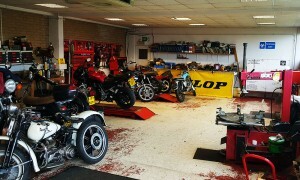 Moton Motorcycles is a registered and Approved MOT Test Centre. We can also advise and assist with race and trackday preparation. Moton Motorcycles can provide you with spares for the majority of bikes including main dealer parts, where we do not have them in stock we can order them in. 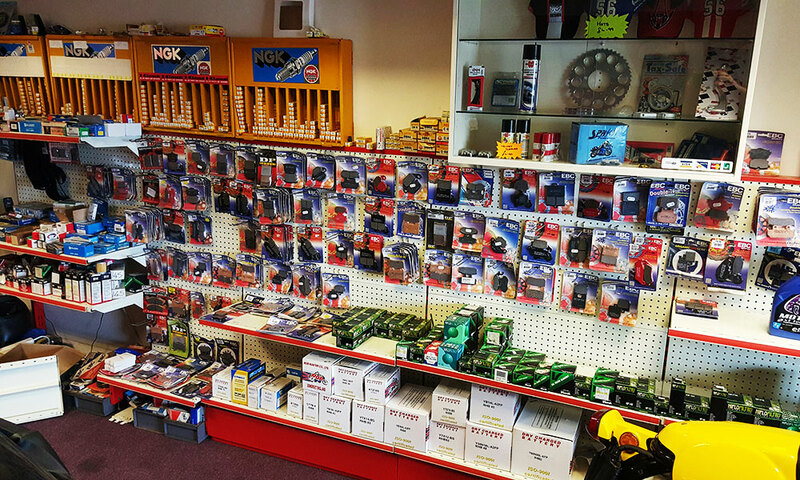 If you are not sure if we stock parts and spares for your particular motor bike or scooter please give us a call on 01424 717242 and we will be pleased to deal with your enquiry. At the same time you collect your spares we can also arrange for your motor bike to under go any repairs that may need to be done or its annual service. Why not give us a call on 01424 717242 to find out what it will cost? Moton Motorcycles can also provide the keen or hobby motorcyclist with the correct equipment to keep you safe on the roads. Why not come into our new showroom and take a look. If we do not have what you are looking for we may be able to get it for you, alternatively you could always give us a call on 01424 717242 we would be more than happy to assist.